A generator failure can be a full blown, four-alarm emergency for a facility. It can be a nightmare and it is not the time to start dreaming up an emergency, contingency plan. Without a plan in place there is a tendency to jump at quick but not well-thought-out solutions, like looking at the label on the generator and calling the manufacturer. That’s a call to Georgia, Indiana, Wisconsin or somewhere else in the middle of the country where most generators are manufactured. Do you have a service agreement with a California-based generator maintenance company? Perhaps you contracted with an out-of-state service company instead. What happens after you place that service request could be drastically different depending upon who you call. An out-of-state service company with a large, national brand stature and size offers some security in an emergency, but there are clear disadvantages. The clock is ticking. Time zone delays may undermine what originally looked like a price advantage. Though you may have a national rep on scene, there’s the danger that back and forth negotiation with a remote, home office will slow down the repair of your generator. Why give up your home field advantage? There are distributor repair and maintenance companies scattered all over Northern California who perform emergency repairs. 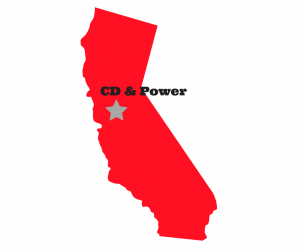 As Northern California’s largest independent generator service company, CD & Power equips you with a home field advantage, an advantage out-of-state competitors cannot match. We offer a 24/7 hotline to our direct customers. One call will dispatch a local technician to the scene on the same day. With a full time parts manager and a deep inventory of replacement parts, many repairs can be handled quickly and with fewer visits. We have a large selection of generator rentals to hook up power while repairs are underway. Our team of factory-trained technicians have earned certifications in the maintenance and repair of leading brands such as Taylor Systems, Gillette, and John Deere among others. Our Compliance Department keeps our workforce current on federal, state, county and municipal requirements that regulate generator operations. Extensive field experience with the complexities inherent in generators. In solving one problem we may spot a potential problem that has yet to surface. Customers come back to us time after time because they are accustomed to our full service approach to repairing and maintaining generators. A generator failure demands instant action. Begin by thinking locally. There are California based-generator maintenance companies ready to respond quickly. We happen to be one of them and we’re easy to reach 😉 (866) 468-7697.